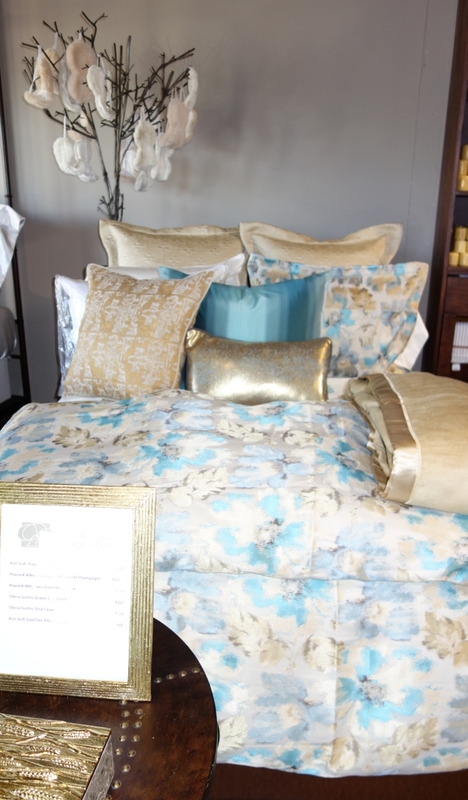 One of our favorites from Ann Gish's new fashion-forward Art of Home collection; golden leaves artistically contrast with smokey florals in your choice of uplifting blue pastels or a more subtle, neutral taupe scheme. 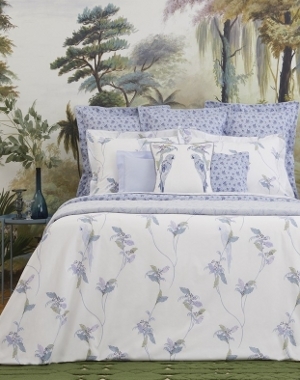 The king duvet set features a king duvet cover with two king shams. 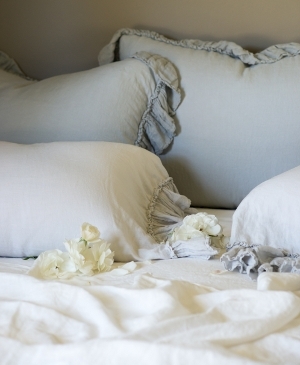 The queen set features standard shams instead.